Vodafone Idea Ltd, the largest telecom service provider in India, today announced a strategic partnership with Sun TV Network – South India’s biggest entertainment network. Sun TV Network’s OTT platform, Sun NXT, caters to Tamil, Telugu, Kannada and Malayalam audiences having over 50,000+ hours of content and will now be accessible to Vodafone Idea customers. This partnership will offer Vodafone Idea’s customers access to Sun NXT’s exclusive digital content. Customers are increasingly looking forward to entertainment in regional languages. Through this partnership, Vodafone Idea has widened its bouquet of regional content through Sun NXT on Vodafone Play and Idea Movies and TV app respectively. 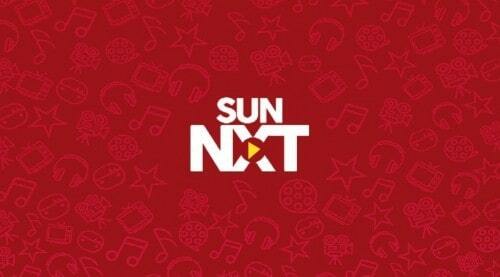 Sun NXT will power 30 + Live TV channels, 4000+ movies and a huge repository of TV shows, music videos and short format content on both Vodafone Play and Idea Movies & TV App. Vodafone Idea is first in the industry to launch this partnership for the entire catalogue including movies. The customers will be able to access top TV channels like Sun TV, Gemini TV, Udaya TV, Surya TV and many other such channels and also popular movies and top-rated TV shows across the four languages on Sun NXT through Vodafone Play and Idea Movies & TV. When it comes to content, we are singularly focused on providing entertainment to our customers keeping in mind their consumption, language and culture. We believe that video and vernacular are the new growth drivers in digital content consumption today, especially in markets of South India. Regional content creates affinity amongst the consumers. We are delighted to partner with Sun TV Network to provide enriched entertainment to our customers by offering high quality regional content on Vodafone & Idea’s Mobile apps. Vodafone Play and Idea Movies & TV app has built a robust portfolio of regional content. Now with Sun NXT, customers will have access to South India’s biggest movie library, Top TV shows and Live TV in their native language. From its launch in June 2017 till now, Sun NXT has fast become the most preferred content consumption destination for South Indians, not only in India but also across the World. Our Digital First strategy for releasing movies in South Indian languages won the hearts of our audience. Movies like ’96’, ‘Ratsasan’, ‘Tik-tik-tik’, ‘Raajakumara’, ‘Tagaru’, ‘Agnyaathavaasi’, ‘Jai Lava Kusha’, ‘Uncle’, ‘Abrahaminte Santhathikal’ etc received tremendous response on our Digital mediums. Our TV shows like Nayagi, Lakshmi Stores, Chandrakumari, Kalyana Veedu, Kanmani, Mathrudevobhava, Nandini, Mogalirekulu, etc. are now well received both on TV and Sun NXT. With Vodafone Idea partnership, we are now looking forward to reaching a wider audience and providing them quality entertainment at their convenience. The Vodafone Play app is a one-stop entertainment destination to enjoy live TV Shows, latest movies and original content. Downloaded by more than 10 Million+ Vodafone Subscribers it gives access to over 9500+ movies,in16 different languages, 300+ live TV channels along with a huge catalogue of original web series and International TV Shows across all genres.